Cast metal is a technique that has been used for centuries in which the artisan takes a design, makes a mold of that design, then pours the liquid metal into the mold. 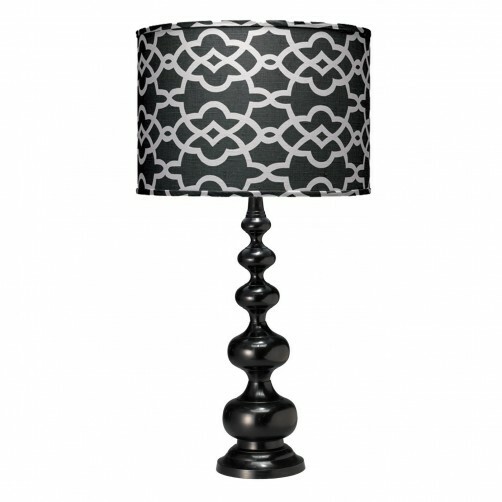 This shapely table lamp employs these same artisan-crafted techniques with a black finish and grey trellis pattern classic drum shade. 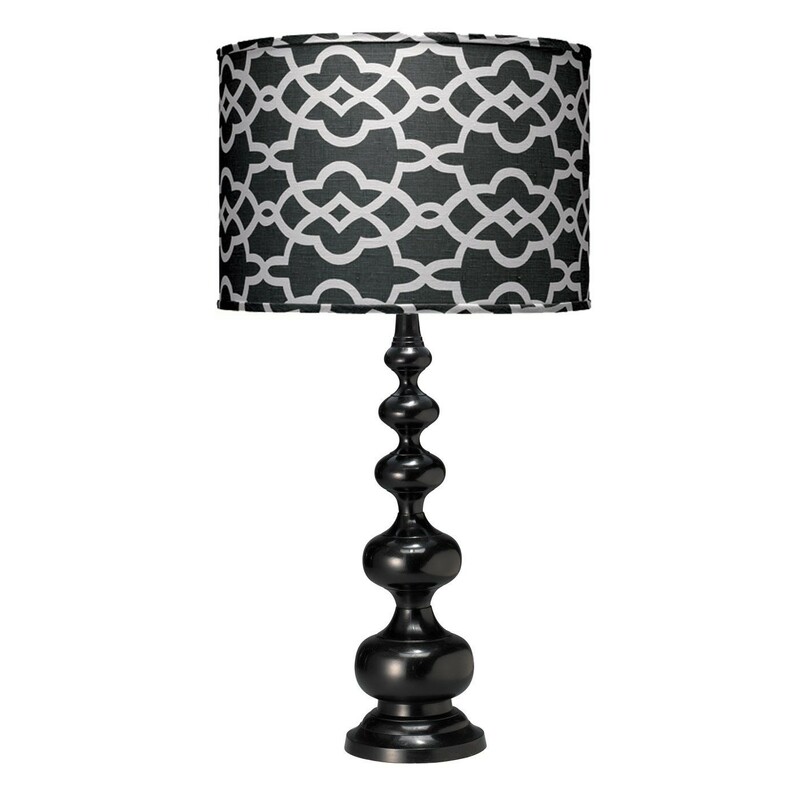 Total: 16.5" Diameter x 30.5"H.
Base: 6" Diameter x 19"H.